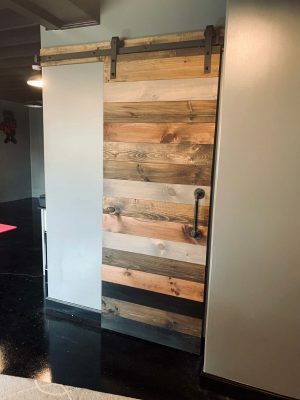 Beautiful interior geometric white oak barn door – hand made and clear coated. Customers enjoy a simplified shopping experience due to all hardware included in price. 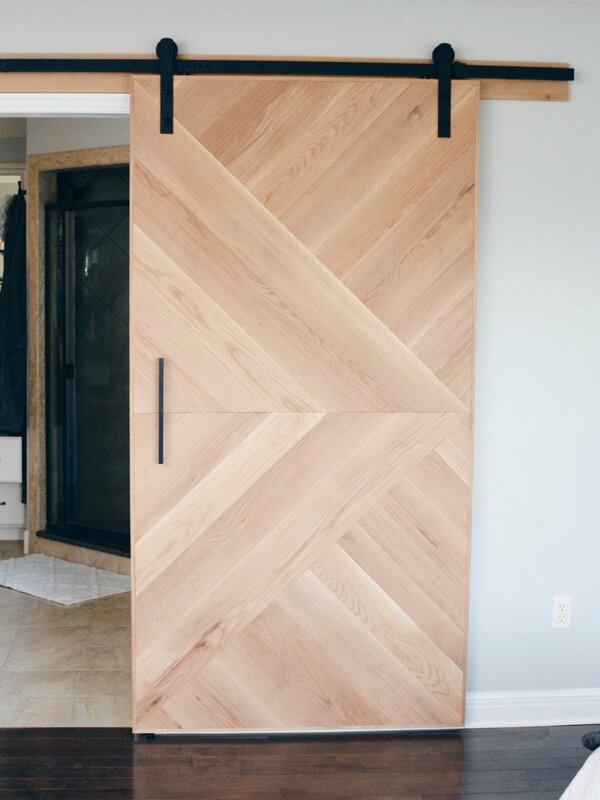 Door pictured is constructed with white oak, therefore giving the desired “contemporary ” look. 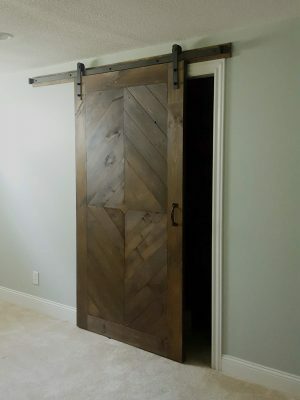 *NOTE: design is only one sided due to weight constraints of a solid white oak door.